I love what I get the God-given opportunity to do. I love being a mom of three very different children. I love being a wife, a friend, and a co-worker. I love working with churches, pastors, and anyone who has a heart to serve single mothers and their families. However, there have been too many times to count over the last several years, where I worked myself into complete exhaustion and burn-out. I would find myself short-tempered, rude, bitter, and angry and unwilling to share why. Whether we answer to wife, mom, student, employee, pastor, or a hundred other roles, a common theme among us is wondering if we are making a difference in our world and how we can keep pushing through. And I’m convinced this is most true of women. Too many of us are burnt out, exhausted, and tired, and we fear if we do something about it or tell others we will be perceived as weak, less than, or imperfect. Why am I so exhausted? Why do I sometimes struggle to push through? Why do I feel so overwhelmed in ministry? When we understand that our role in life is not to be everything to everyone, we then understand that we do not have to fix the world or our kids or our coworkers. We are not in the business of fixing others. We are in the business of pointing people to the God who can. Our role in life is to continue to direct people to the Lord Jesus as their source of strength, courage, patience, and prayer answerer – not for us to be those things. In the early years of ministry, this was the hardest. Anyone who knows me, personally, knows that I am driven, hard-working, and passionate. Single moms’ ministry keeps me up at night. The desire to see my children succeed burns within me. Making sure my job at work is done efficiently is also important to me. And there is much work to be done in all those areas. But we must rest. We must take time to simply sleep, sit on the sofa with nothing to do, and do nothing. It is vital to our effectiveness in relationships. Whatever the boundaries are, stick to them. If you know that between 5pm-7pm, you have a sit-down meal with family at the dinner table, then don’t accept phone calls during that time. If you have decided that one Saturday a month will be used for a date night with your spouse, protect that. When we set boundaries in our lives, it tells those we work with at our jobs, our girlfriends, and our ministries that we value our rest enough to protect it. It is important that you find boundaries that work for you and your family and understand that for your own health, you need to stick to them. You cannot give when you do not receive. Stay in God’s word. Stay in prayer. Continue with regular church attendance. Pray without ceasing. All the things that have contributed to your Christian journey with the Lord are the things that will sustain that journey as you become an encouragement to others. Your life should be structured in such a way that you are accountable to others in your life - your pastor, spouse, ministry leader, a mentor, etc. They see things that we sometimes can’t when we are knee-deep in midst of life. They offer perspective. They help to keep us safe. Know when it is time for an extended rest. It isn’t always possible to do so immediately, but for some, it may be intentionally taking a 5- to 7-day rest from social media, work, and ministry responsibilities. For me, I have always taken extended time off work during the summer, when my kids are home from school. Whatever that looks like for you, do it, when needed. This allows for a time of refreshing, extended family time, and perspective. Jennifer Maggio is an award-winning author and founder of The LIfe of a Single Mom Ministries. 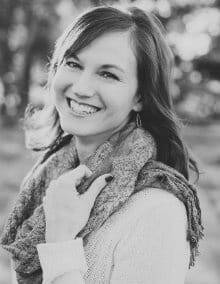 Through her own mistakes, Maggio is passionate about sharing her journey with other single parents to encourage and equip them, teaching them to embrace the love of Christ. She believes the body of Christ can make a significant impact in the lives of single parent families. For more information, visit www.thelifeofasinglemom.com.